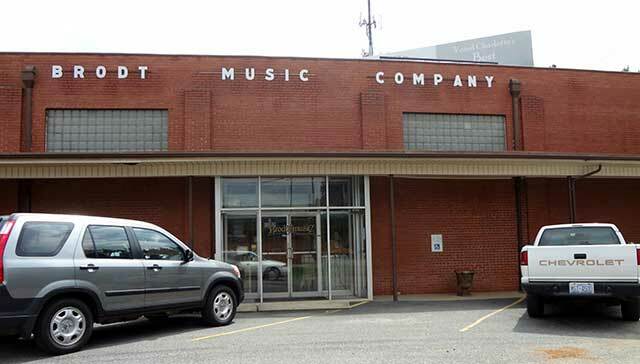 Brodt Music Company has been serving the Charlotte community since 1934. Recently, WDAV Digital Producer George Marshall visited Brodt to interview owner Lee Northcutt about the store’s 78 year life and imminent closure. Over the years, Brodt has not only supplied print music, but also supplemented the community by organizing band and choral workshops for the Charlotte Mecklenburg school system, creating displays for church music conferences, and hosting nationally recognized composers to offer workshops for local musicians. Brodt Music has also existed as a locale for regional and guest musicians alike to meet and chat. Artists of such international rapport as Kathleen Battle and Itzhak Perlman have found themselves in Brodt Music, while more frequent patrons have included local jazz legends Loonis McGlohon and Jim Stack. Due to financial constraints resulting from the 2008 recession and continuing web-based movement of print music sales, Brodt Music will be closing at the end of October 2012. With tighter budgets, too many schools and churches have had to cancel their purchase orders with Brodt Music – as many as 50 cancellations were received in one afternoon, recalled the owner, who hopes to sell as much of their vast inventory as possible before they close. 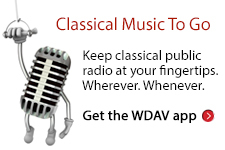 You can hear Northcutt’s interview on WDAV October 25 at 9:30am and October 27 at 11:30am. Can’t wait that long? Click the play button below to listen now!